Eating outdoors, long evenings, no school, and the laid back attitude that accompanies summer entertaining totally suits me. 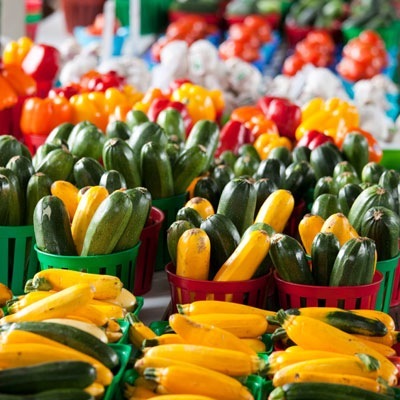 Summer cooking is my favorite and I always look forward to the bounty of produce that shows up this time of year. Cocktails and cool drinks infused with fresh herbs or seasonal fruits. I love the cute patterned cupcake liner turned upside down with a hole punched in it for the straw….figures it is a Martha Stewart idea. 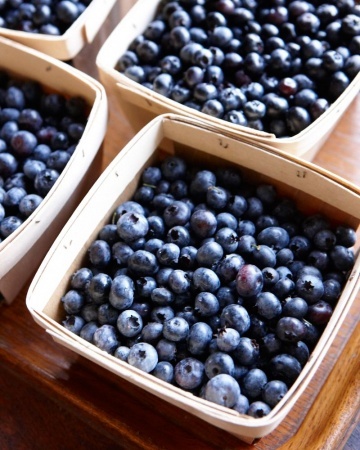 I have some go to recipes that have been in my summertime rotation for years. This first recipe always make people question my sanity. The dish is called Indiana Blueberry Pork. Blueberries, onions, tomato and pork. Huh? I swear it’s delicious and I have only heard raves about the dish. 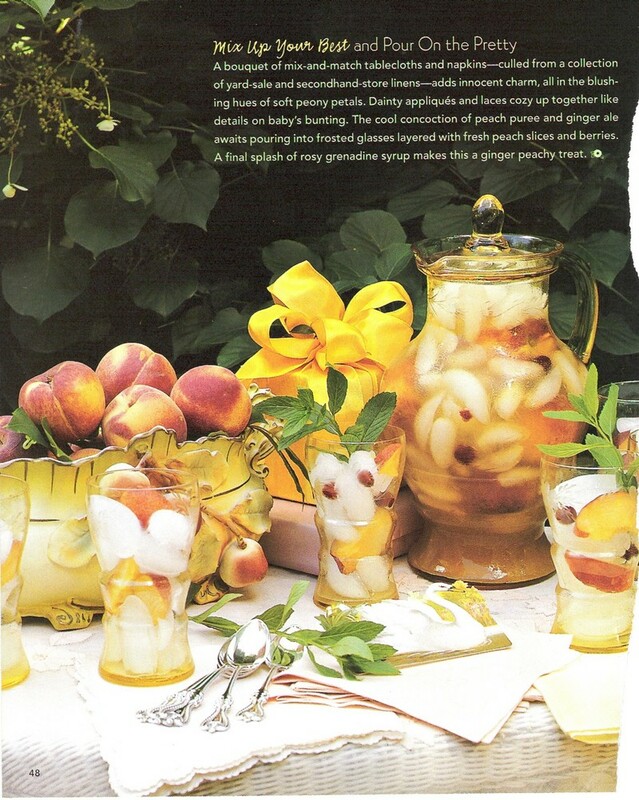 I got it from an old issue of Midwest Living and I love that the recipe was taken from the Marshall, Indiana Blueberry Festival. 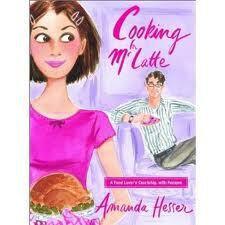 I loved Amanda Hesser’s, “Cooking for Mr. Latte”. I was dating and falling in love with Adam around the time the book came out so I related to many of the stories. 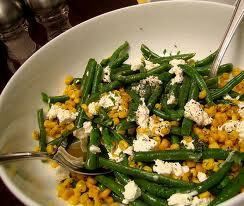 One recipe from the book that I go back to over and over is her Green Bean Succotash Recipe. For summer desserts I am a Strawberry Shortcake gal. 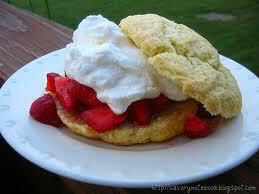 I love it when it is made with a scone like biscuit and globs of fresh whipped cream and berries. 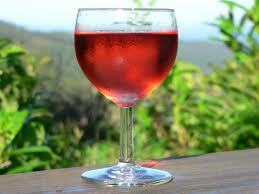 I like to send people off with a little gift when I entertain. 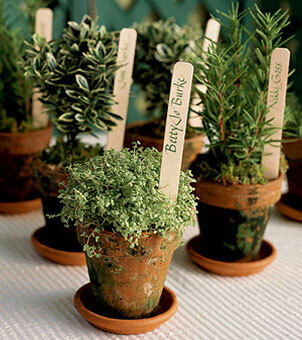 An idea I’ve used on a number of occasions is to give each guest a little flower-pot with their name on a place card stuck into the pot with a flower card holder (you can get at your local floral supply company or florist) or plant marker. 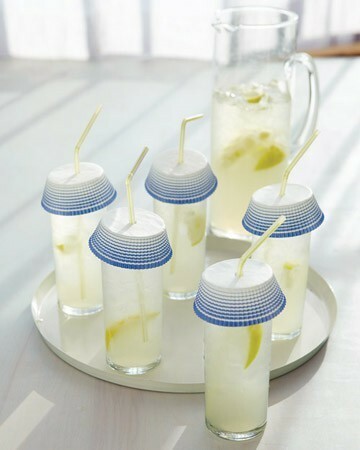 An all-purpose item…place card/table decor/and parting gift. And it’s green too. 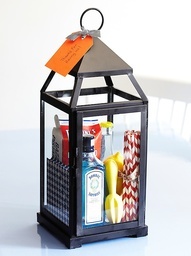 And if you are a guest at a dinner party, here’s a great hostess gift. I am stealing this for sure! 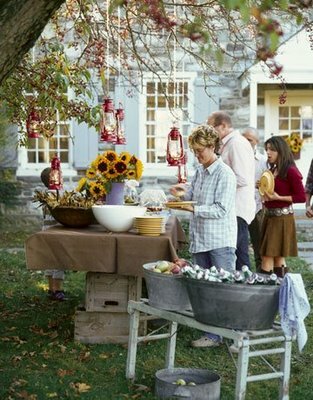 Outdoor lantern, cocktail fixings, adorable straw & napkins. 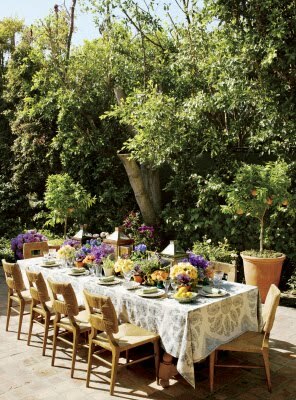 What are your summer entertaining ideas? Please share! I was at my husband’s aunt’s summer house in rural VT for dinner last week and she handed me a gin & tonic and then plucked a sprig of mint from her garden and dropped it into my drink as a garnish. LOVED. Cooking for Mr. Latte is one of my favorite food memoirs. I love her recipe for white bolognese sauce. Thanks for sharing.